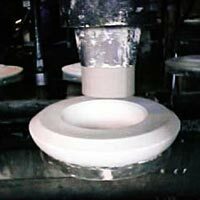 Though engineers have been working on complicated and expensive production techniques of ceramics, plaster still has a very important place in the majority of manufacturing techniques for ceramic products. 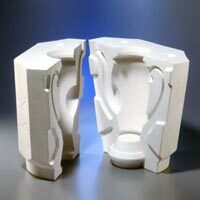 Ranging from the production of sanitaryware to tableware products, we manufacture a complete line of plasters for the ceramic and porcelain industry that are used to shape products via molds with every kind of technique. The plaster's initial set, vicat ring spread diameter, capillary volume, expansion and strength can depend on the shape of the case you mix the plaster and water in, the temperature of the water and the pace you mix it. 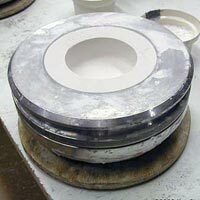 It can also depend on the environment's temperature, the total mixing time and the technique in which it is mixed. Consult us for the right choice. 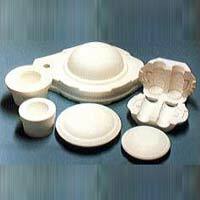 This plaster is formulated to provide the quick formation of thickness and the short drying time of molds, which are necessary for fast production of sanitaryware products with slip casting. 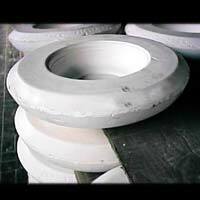 Suitable for slip casting, this plaster has higher strength than ATA 80, faster formation of thickness and shorter drying time, which are required for longer mold life and fast production. It also has higher capillarity. Designed for the production of working molds and jiggering molds, this plaster has higher strength than ATA 75 and has longer mold life. 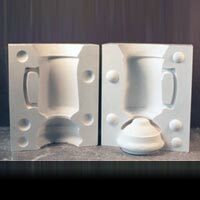 This plaster is formulated for the production of working molds and jiggering molds when more strength than ATA 70 is required but less porosity is needed. This plaster is ideal for working and jiggering molds when less porosity and less capillary volume than ATA 65 are needed. 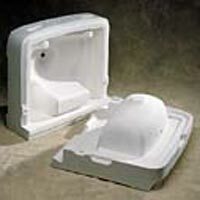 It provides higher strength and longer mold life. Suitable for the production of case and jiggering molds, this plaster gives higher strength with lower pore volume and compact crystals. 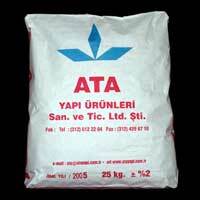 This plaster is particularly suitable when higher strength is required such as in case molds and jiggering molds. 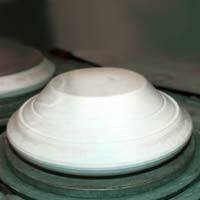 This plaster is used for the production of case molds when fine detail and smooth surfaces are needed. It reaches high strength very quickly. 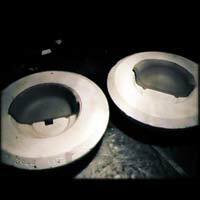 This plaster is used for the production of case molds when very smooth, shiny surface and fine detail are needed. It reaches its maximum strength very quickly. Designed to produce mother molds and jiggering molds, this plaster has lower porosity than ATA 35 but has much greater strength. This plaster is particularly suitable for the production of main molds, statues and figures, where very high strength and low expansion are needed.